Honda Europe have announced a list of upgrades for the 2016 CBR500R which will premiere at the 2015 American International Motorcycle Expo on October 15. 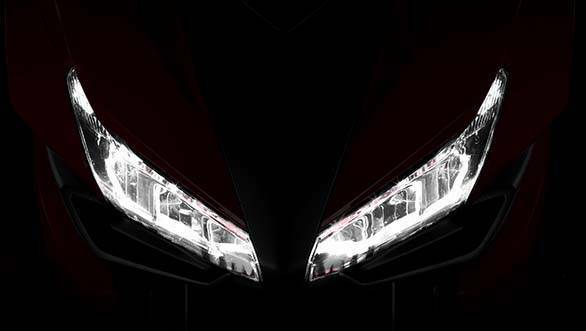 Since its introduction in 2013, this will be the most significant update to the CBR500R. 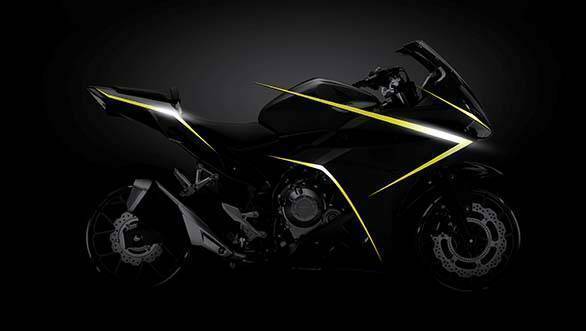 The 2016 Honda CBR500R will be completely redesigned based on a theme that Honda call 'Aggressive Speed Shape'. The fairing has been reworked to fit in slim dual LED headlamps, while the new upswept tail end gets LED lights. The new Honda CBR500R gets a larger fuel tank, adjustable brake levers and a new exhaust system which is shorter to allow better centre of gravity. While Honda haven't mentioned any changes to the engine, they do say that the CBR500R will get an upgraded front suspension with an adjustable pre-load setup. Honda will also be introducing a few new colour schemes for the CBR500R. Honda Motor Europe is pleased to announce a comprehensive range of upgrades for the CBR500R, its sports middleweight first launched for the 2013 sales season. The CBR500R's combination of lively performance and sports styling has earned it widespread popularity both among riders stepping up from smaller machines and experienced riders looking for all-round sporty capability. Upgrades for 2016 include: - A complete new look based on a design theme of "Aggressive Speed Shape". Sharp and edgy character lines flow from its new front face - featuring steeply-angled dual LED lights - through to the upswept tail - also equipped with LED lighting - to give an appearance of speed and purpose. - Several rider-focussed upgrades including front suspension with adjustable pre-load, larger fuel tank with new hinged fuel cap, adjustable brake levers and "wave" style ignition key. - A new shorter exhaust muffler for enhanced mass centralisation, with internal structure tuned for a satisfying low, crisp exhaust note. - A range of dynamic new colour schemes. With this series of upgrades, the 16YM CBR500R is designed to offer the maximum sporty performance, style and presence from a genuine A2 licence-compliant motorcycle. The 16YM CBR500R will be unveiled to the public for the first time at the American International Motorcycle Expo, which starts in Orlando, Florida on 15th October.